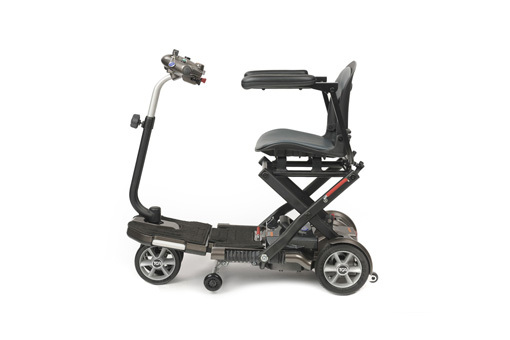 If you have difficulty getting around outdoors, a mobility scooter can bring back your independence. 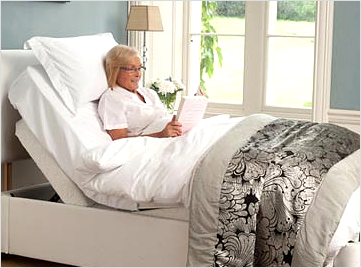 It is important, however, to choose the one that best suits your own personal needs and requirements. With a single press on the key fob, the scooter unfolds on its own in less than twenty seconds. 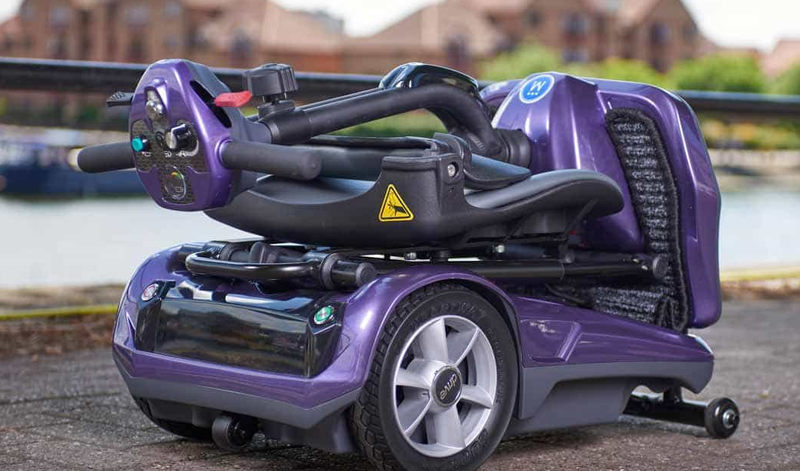 The new TGA Minimo delivers pioneering levels of transportability, comfort and safety in the ‘car boot ‘scooter class. The new Minimo is a revolution in compact, ‘car boot’ scooter design. It represents one of the most advanced, transportable designs that folds and fits into the boot of a car and requires no parts to be dismantled for storage. 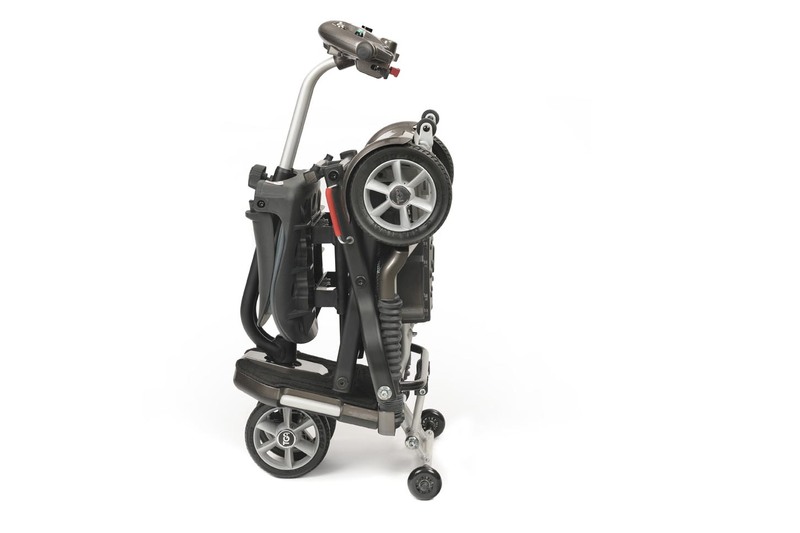 The world's first truly portable scooter the TravelLite Standard from Aquasoothe, gives you freedom to go wherever you please, without feeling worn out. Its simple yet brilliant design means it can be taken apart and folded in seconds. You can pop it in your car and take it where you like...to the park, shopping or family days out. You must first decide whether you want a three- or four-wheel model. In fact, there are now even five-wheeled scooters available on the market. Three-wheeled scooters are a easier to manoeuvre and generally give more space to the rider's legs and have a shorter wheelbase. If, however, you are not so sure about your ability to balance, then a four-wheel scooter may be better, as they provide more stability. They will also be better if you need to cover long distances as four-wheeled scooters tend to have larger motors and a greater range. Five-wheel scooters are currently only available from one manufacturer. 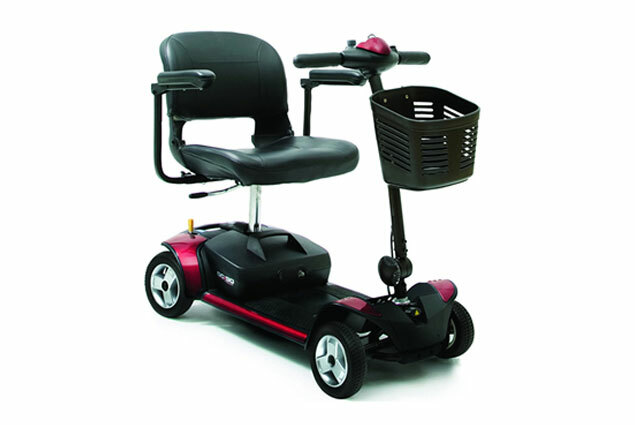 The Quingo range combine the advantages of both 3 and 4 wheeled scooters. 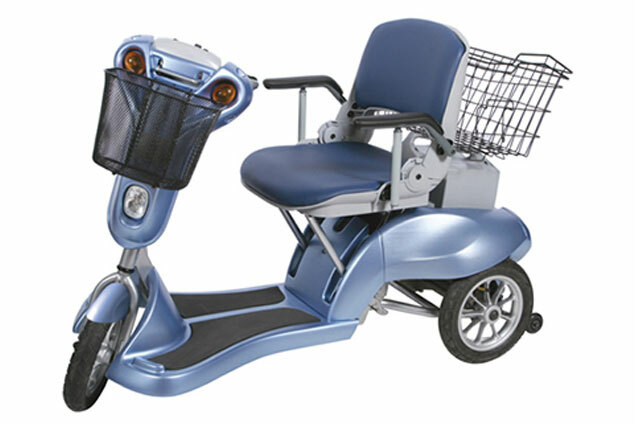 The comfort and agility of the 3 wheeler with the safer stability of the 4. If posture control or smooth kerb climbing is important you may wish to consider the five wheel scooter. 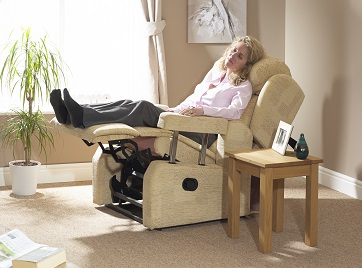 They are built to be folded or easily disassembled to fit inside a car boot and then set up for use at another time. Again, there is a choice of three or four or five wheeled models. 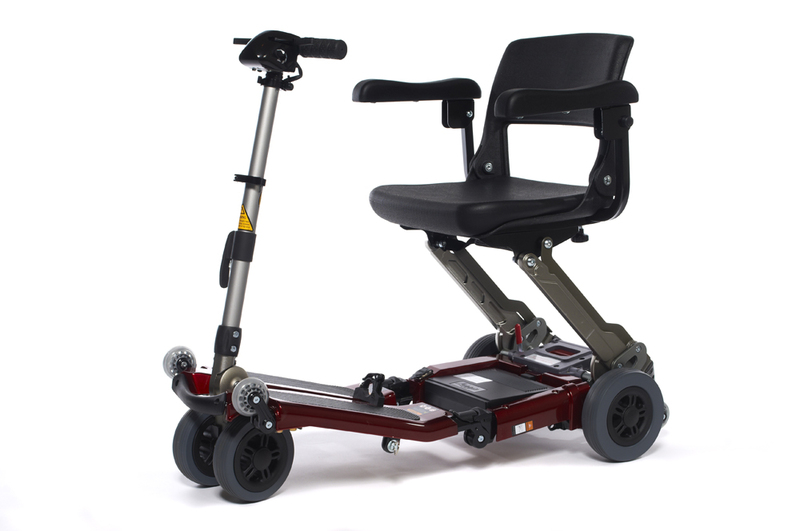 Choosing the right mobility scooter for your needs is very important. Mobility scooters are categorised into two "maximum speed" sections by the Department of Transport: Class 2, which means a scooter that can be used on the pavement only at a maximum speed of 4mph, or a Class 3 vehicle, which means that this scooter can travel on the road at 8mph but then must be able to be limited to a maximum speed of 4mph when it is used on the pavement. 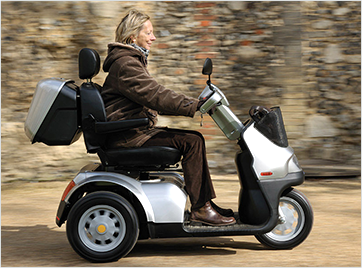 Although a class 3 mobility scooter driver does not require a driving licence or insurance, the Department of Transport have a Code of Practice for the supply of an 8mph vehicle. This will involve a test drive to ensure that a client is safe to use it on the roads. 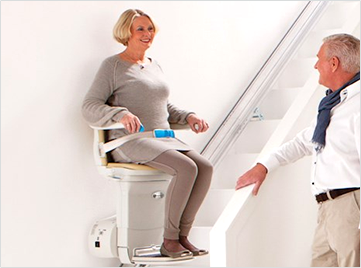 So our advice when looking for a mobility scooter is always to check whether that retailer works to this code of practice and offers test drives / demonstrations at your home to ensure that you are safe and that it meets your exact needs. Use Mobilitycompare to help you browse and compare mobility electric scooters. 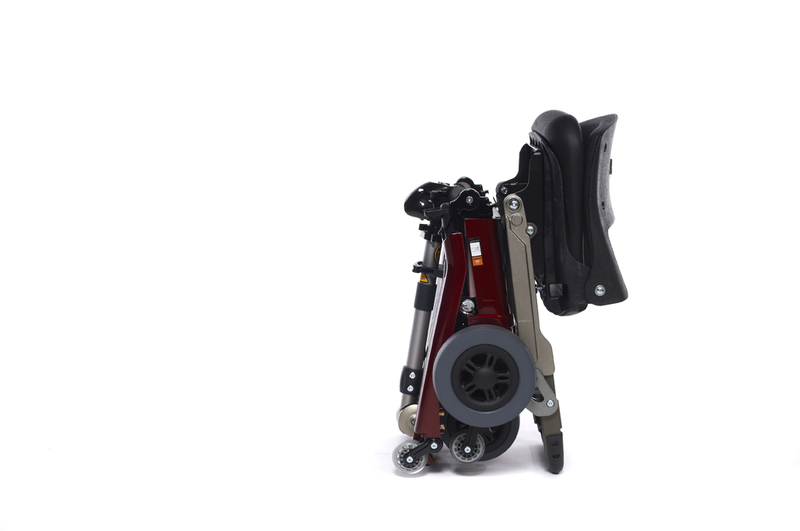 With Freerider mobility scooters, you can choose between nine different models and several additional accessories.